Blogger's Note: I definitely use music as a muse for writing. I have playlists for every story I write -- it's one of the first steps of my planning process. I use the music to put me in the mood to write, and to get me in the mindset to write the story in question. I've always wondered what other people who use music listened to when they wrote, and I was thrilled when Courtney Giardina sent me this post. It's fantastic, and by the time I made it through the end, I had to order the book pronto. I hope you enjoy this post, too. Be sure to enter the Rafflecopter at the end of this post for your chance to win a copy of her book, Tear Stained Beaches. If you haven’t read Tear Stained Beaches yet, I will forewarn you, you’ll probably need a box of tissues and a glass of wine with it. It will take you on an emotional roller coaster from beginning to end as you follow the trials and tribulations of Haylie Julian and her crumbling marriage to Chase. From the very beginning, before I even put pen to paper (or my fingers to the keys to be more accurate) I set out to tug at the heartstrings of its readers. I wanted them to be able to relate to Haylie. Everyone has suffered a broken heart and one time or another and I really wanted them to feel each tear that fell. I found while writing the best way to really get into the sad, tearful mood was to listen to some really sad love songs. For those of you who are thinking about writing a tear jerker, I wanted to pass along the songs that inspired me through Tear Stained Beaches! And there you have it! Some of the songs that helped inspire the sad scenes of Tear Stained Beaches. What songs do you listen to while writing to help inspire you? Courtney Giardina was born and raised just outside of Rochester, NY where she jumped and tumbled her way through school as a gymnast and cheerleader. She credits cheering under the lights on Friday nights as the reason for her love of football. Realizing that becoming a Dallas Cowboys Cheerleader was probably not a realistic ambition, Courtney decided to take her creative talents down a different route. In May 2012 she traded cold, snowy winters for extremely humid summers in Charlotte, NC and worked early mornings and late nights on top of a full-time job to create Tear Stained Beaches. 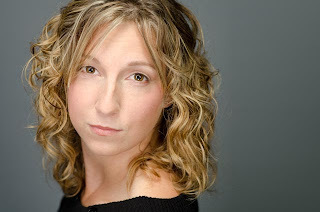 When she’s not in the midst of writing songs, poems or debut novels, Courtney enjoys being in front of the camera as an actress, running 5Ks and singing loudly to country music in her Jeep. In her world, everywhere is a stage. 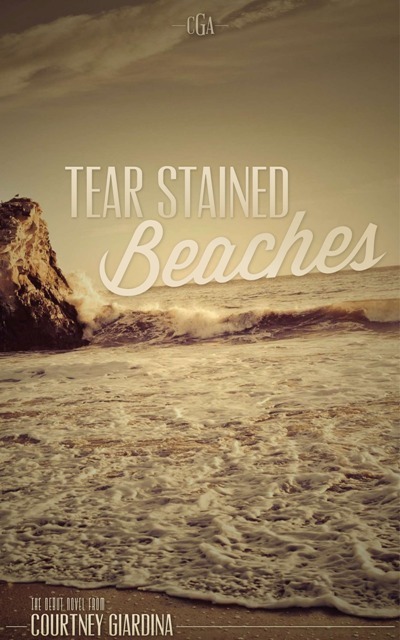 Enter for your chance to win a signed copy of Tear Stained Beaches!